Grace Christian Homeschool: Mother's Day Sale for Motivated Moms! 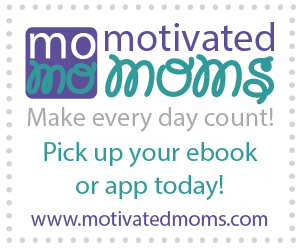 Mother's Day Sale for Motivated Moms! If you've been wanting to give Motivated Moms a try whether it be the ebook or app, now is the time! No coupon code necessary! The sale will run for 5 days: Thursday, May 5th, through Monday, May 9th. 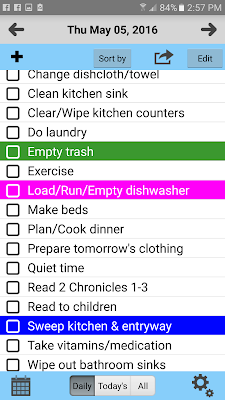 If you are unfamiliar with Motivated Moms, it is a wonderful little tool to help you stay on top of your cleaning tasks by breaking them down into little bite size chunks each day. It includes daily, weekly, monthly, and even annual tasks. I've been using this tool for years! You know I'm a paper planner girl at heart but I really like the app version of this as well. You can assign tasks and even color code. For example, my oldest is green so he has to empty the trash. My middle son is blue, so he needs to sweep kitchen and entryway. My daughter is pink so she needs to do handle the dishes today. The rest I'll probably do. 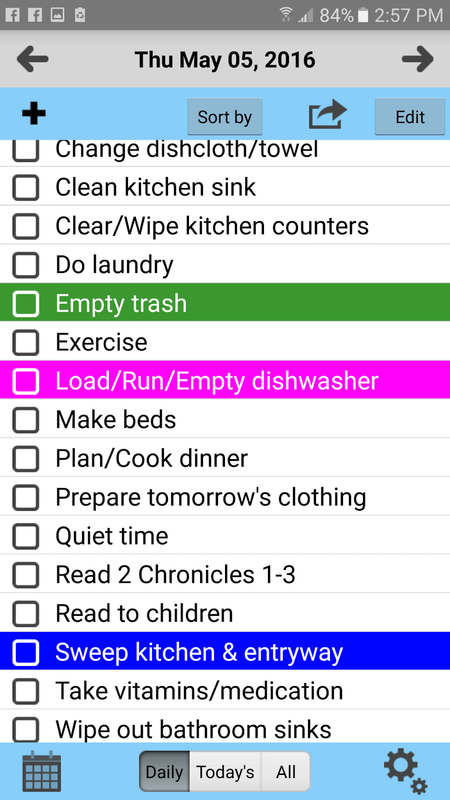 I don't always get them all done but this list includes a Bible reading plan and normal habit items as well. If you'd like to take some of those off as they become a habit, you can do that too. 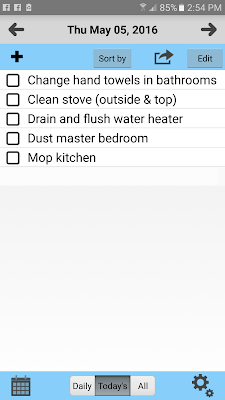 Here is a look at just the daily task screen. It looks very doable, right? If something doesn't apply to you life, just hide it and never see it again! Like, I really should hide that drain and flush water heater because that doesn't apply to me (so my husband says :) Simple! Working on Next Year's Curriculum?